Unite members in the health service will be taking part in further strike action. Unite LE1111 housing workers branch secretary Suzanne Muna commented: “My full support goes out to NHS workers due to strike on the 29th of January. See the unite link and do all you can to support the action”. We would encourage members to visit picket lines where possible and convey our solidarity; many of us in housing face very similar issues. 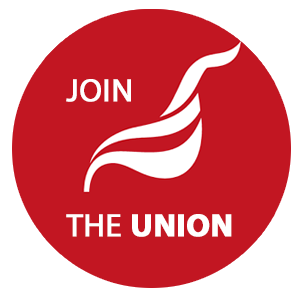 In October Unite members working in the NHS along with colleagues from 10 leading health unions took strike action for the first time in more than 30 years over pay. This was followed by a second walkout in November. Now workers plan to strike on Thursday 29 January from 9.00am to 9.00pm and on Wednesday 25th February for twenty four hours. The government still isn’t listening –the real value of pay in the NHS has fallen by a staggering 15% over the last five years. The government's decision to deny 60 per cent of NHS staff a modest 1% consolidated cost of living pay increase this year, ignoring the recommendation of the independent pay review body (PRB) – the first time a government has done so - sparked the first walkout by NHS staff over pay in more than 30 years. Click here for the public Unite flier on the strike. Click here to sign a petition to Jeremy Hunt – the health minister.